Progressives still insisting on “realistic” and “commonsense” health-care reform “are living in the political past,” said Paul Rosenberg in Salon.com. 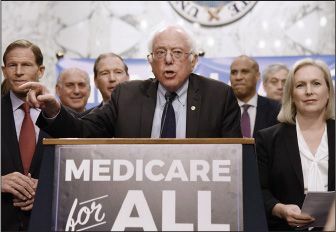 If the old pragmatic assumptions about our politics still existed, Sanders “would never have won a single primary” in 2016, “and Donald Trump certainly wouldn’t be president today.” Americans “demand fundamental change.” Just a few years ago, single payer was a fringe idea; now, a Kaiser Family Foundation poll finds, 53 percent of Americans support it. With Bernie’s plan, Democrats can present voters with a positive, aspirational message in the 2018 midterms and beyond.